Here is the second instalment in our, slightly drawn out, Trio of Delorean related stories. 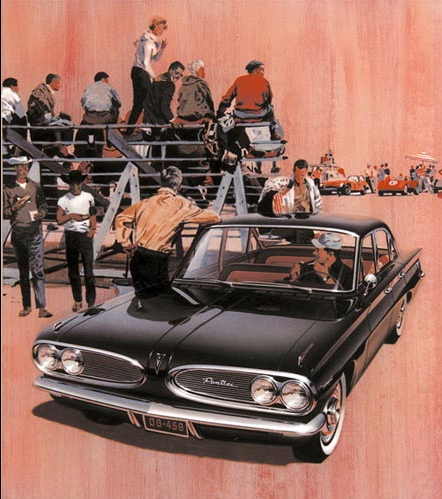 It’s the story of the Pontiac Tempest and how it nearly became America’s answer to the sporting sedans of Europe. We have a real soft spot for the square cut compacts that Detroit produced in the early sixties. Falcon, Corvair, Nova, Comet – all yum. 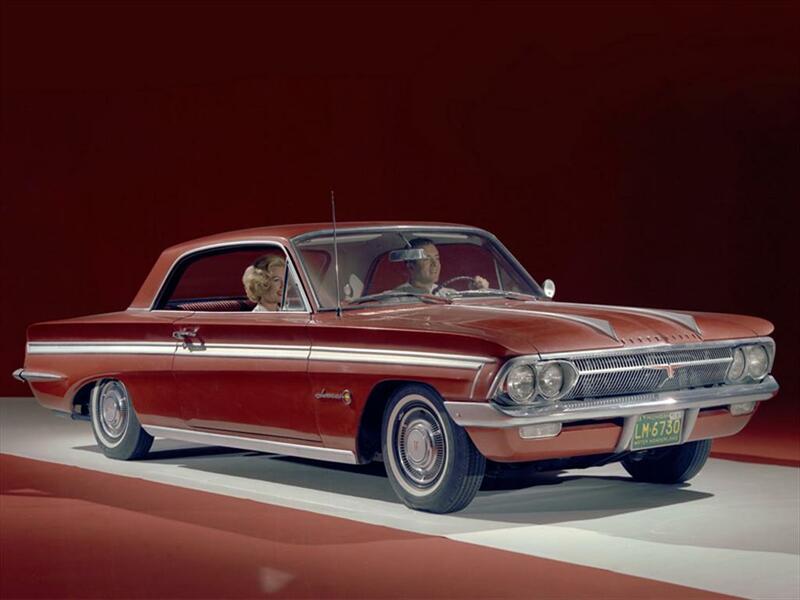 But of all the compacts there is a sub-group that stands head and shoulders above the others; The B-O-P compacts, namely Buick’s Skylark and Special, Oldsmobile’s f-85, Cutlass and Jetfire and Pontiac’s Tempest and Le Mans. This group of cars were all built on GM’s Y Platform and all shared the basic configuration of conventional front engine, rear wheel drive layout, but with some interesting variations, as we’ll discover. The little Olds was probably the best looker of the Y Platform gang, we love the droopy line on the side panels and the full width grille. But, despite the undoubted handsomeness of the Olds, it is the Tempest that’s king of the B-O-P compacts – no question. It is by far the most techinally interesting car and almost sparked a revolution. As Chief Engineer at Pontiac John Delorean was determined to create genuinely advanced and practical car that would drag Detroit up to speed with the Europeans. He wanted the car to be small, at least by American standards, efficient and well balanced. 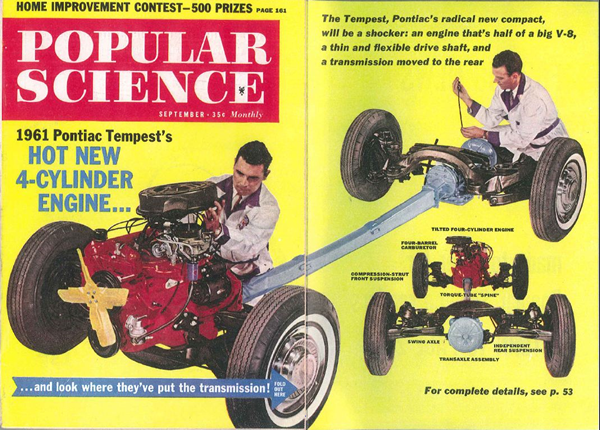 So, in 1961, the Pontiac engineering team set to work on the bold and ambitious Tempest. This wasn’t a money-no-object project of course and the boffins had to work with what they had, but boy were they creative. In his quest for perfect balance, Delorean wanted to use a rear transaxle – basically hanging the gearbox on the rear axle rather than up front with all the other heavy bits. GM were using a transaxle in the rear engined Corvair so why not use this but bring the drive in from the front rather than the back – brilliant. In a nutshell the little Tempest was a technical tour de force wrapped in a compact body – BMW’s modus operandi for years – if only they’d put a sweet six cylinder engine in it! So how did it go down with the press and the car buying public? 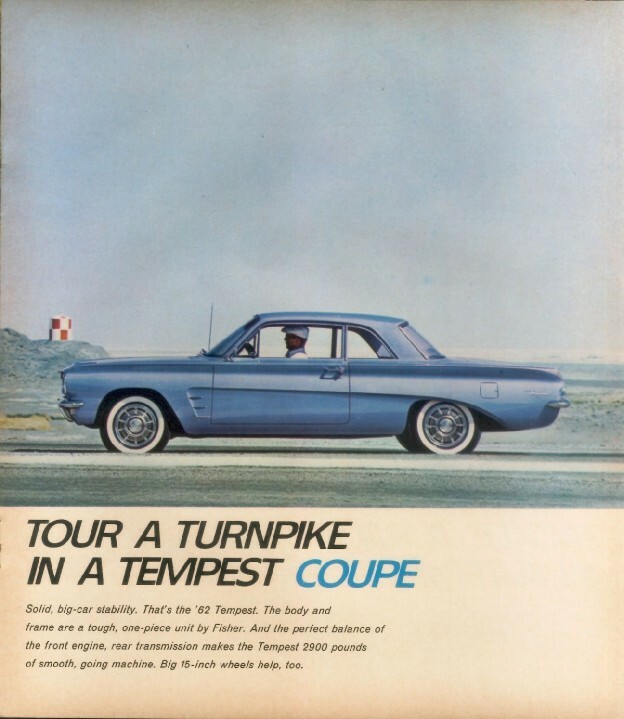 Well the Tempest received a lot of praise when it launched in 1961. It won Motor Trend’s car of the year and got glowing reports from the magazines. Many testers we so convinced by the technological advances that they hailed it as the shape of things to come, heralding a new wave of good handling, economical, small American cars. All was not a bed of roses though as some aspects of the car’s design were not altogether conducive to a sporty sedan. The swing axle at the back while providing good traction and comfort had the ability to create vicious snap oversteer when driven with verve. Plus that big old four pot engine was hardly the pinnacle of sporting motive power. These problems and the relative expensive of making such a technically superior car eventually lead to the demise of the Tempest as a car of interest. By 1964 it had become an entire conventional mid-size car. What a shame that the prophecies of the those early testers hadn’t proved accurate. Wouldn’t it have been great if the Tempest had spawned a whole range of clever, efficient, fun cars that could have taken on the Europeans at their own game and truly competed. Well done for trying Mr Delorean.